Thomas Crowch, the second son of Thomas Crowch and Sarah (nee Galliard) of Corneybury Manor in Layston Buntingford Hertfordshire, was baptised in St Bartholomew’s Church Layston on 18 October 1607. 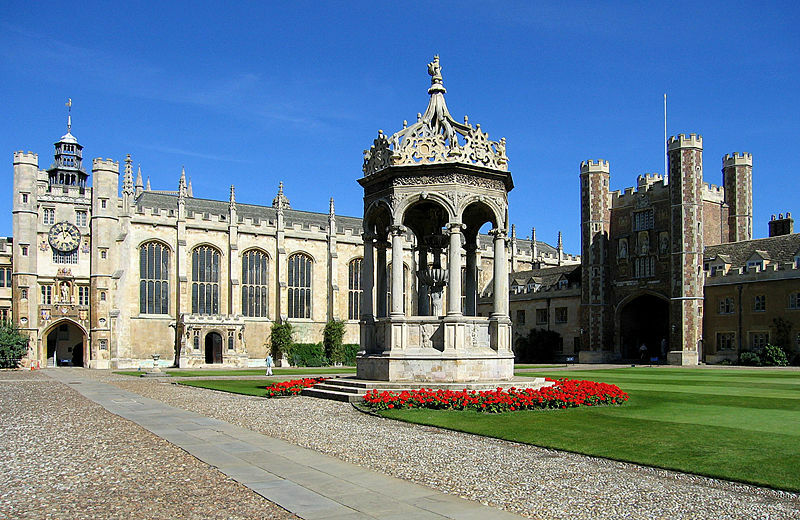 He entered King’s College Cambridge on 26 June 1626 following his earlier attendance at Eton College from 1622 up to this time. He achieved a Bachelor of Arts in 1630 followed by his Masters in 1633. He was recorded as a Fellow of Kings College from 1629 until 1650 at which time he was ejected albeit on a temporary basis. He was Proctor in 1643 and again in 1649-1650 at which time, following his ejection from Kings College, he migrated to Trinity College where he resided as a Fellow. Crouch’s grandfather, a London Clothworker, bought the manor of Corneybury in 1583. Corneybury Manor remained with the Crouch family for many generations. Although Thomas Crouch inherited an Inn at Buntingford and the leases of two local farms from his late uncle, he became a fellow of King’s, like his father, Thomas, before him. Corneybury Manor became a home away from the University for Thomas. He used his old family home, originally bequeathed to his brother John and later to his nephew Charles, as a staging point between the University in Cambridge and London. 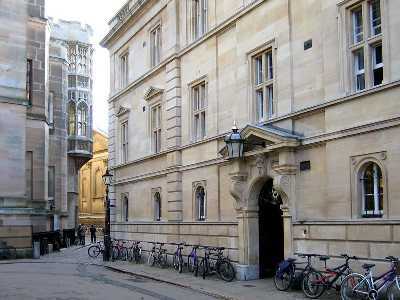 In his early years at Cambridge, Thomas first turned his attention to theology, and in 1633 had been admonished by the Vice-Provost for defending the Invocation of Saints as Respondent in a Disputation in Chapel, and it appears the he refused to retract and was discommuned for a week. He was twice Proctor, and there is a portrait of him at King's Lodge in his official dress, dated 1647. 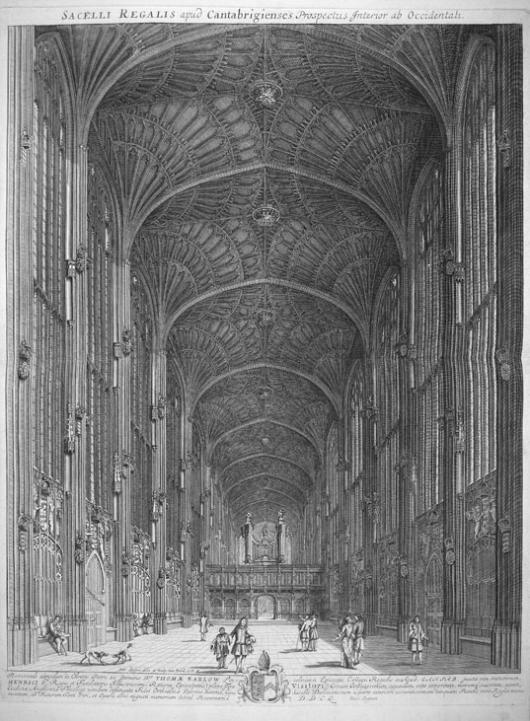 At the outbreak of the Civil War he was said to have “maligned Parliament” and helped to convey the college plate to the King, but was not ejected until 1650 at which time he found a new home in nearby Trinity Hall. He was eventually readmitted to his Fellowship, but resigned it immediately in favour of another member of the Crouch family. moderately active Member of the Convention, he was named in 21 committees, including that on the indemnity bill, and made six recorded speeches. He “spoke excellently” on 23rd June against the petition from the intruded dons at Oxford, and was named to the committee to consider it. On 4th July he was amongst those appointed to prepare for a conference on three orders issued by the Lords. Two days later he spoke in favour of consulting with divines over the religious settlement, and in grand committee he spoke against the bill drafted by the Presbyterian Thomas Bampfield. He favoured committing the bill for settling ecclesiastical livings and was named to the committee. He spoke against the proposal to exclude “scandalous” or ignorant” ministers, asking who was to be the judge of scandal, and attacked the Presbyterian practice of restricted admission to the sacrament, which should be open to “all but such as were very notorious and not [merely] suspected”. He took a prominent part in the college leases bill, helping to transpose the wording at one point and to insert a clause confirming fellows and scholars. On 1st Sept. he carried up the bill to provide maintenance for the vicar of Royston. After the recess he supported the committal of the bill to endow vicarages out of impropriate rectories and was named to the committee. He was added on 17th Nov. to the committee to bring in the bill for modified episcopacy. He chaired the committee to confirm the grant of a Suffolk advowson to Emmanuel College, and carried up the bill. He also took the chair for a Bedfordshire estate bill. He was appointed to the committee to report on bills depending on the Lords, of which the most important was the college leases bill. On 20th Dec. he supported the exemption of the universities from the nationalization of postal services. Despite a letter from his kinsman the Earl of Manchester, dated 28 July 1660 (King’s College Library, Manuscript Letters, ii, no. 24), ordering the restoration of Thomas Crouch to his fellowship and seniority and his old rooms in King’s College, failing cause shown to the contrary; Crouch's name does not reappear in the lists of fellows in the Mundum Books. The Earl of Manchester was later to become chancellor of the university at the Restoration. Crouch never regained his fellowship at King’s. 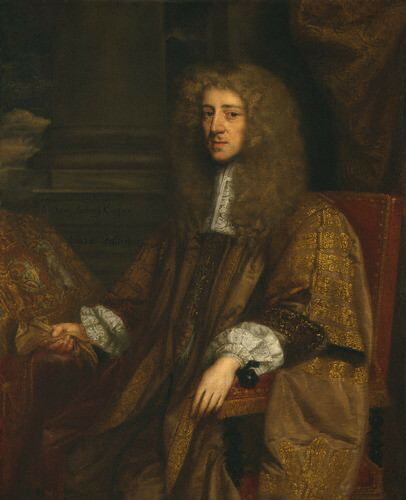 Nevertheless, he was re-elected unopposed as the Member of Parliament for Cambridge University in 1661 and was listed as a moderate by Lord Wharton. He must have already made his mark as an efficient chairman in the Convention, for his record in the Cavalier Parliament was prodigious. Of his 742 committees, he took the chair in 47, apparently specialising in estate bills, though he had no formal legal training. In public affairs he remained as indefatigable defender of his university and his Church. He was also active in the routine business of the house, such as examining the Journals and reporting on bills depending. He acted 8 times as teller and carried 15 bills to the Lords; but he was less prominent in debate; only 24 of his speeches were recorded. In the opening session he was appointed to the committees for the uniformity bill and the bill of pains and penalties. He took the chair for the bill to prevent mischief from Quakers and carried it up on 19th July. He also steered through committee the bill under which the father of James Scudmore was enabled to endow several churches. Even in 1674, when the London printers threatened to interfere with the privileges of the University Printers; the Vice-Chancellor of Oxford looked to Thomas Crouch as the best champion whom he could find. After Christmas he chaired the bills to confirm three Acts of the Convention and to increase the stipends of the urban clergy. He was among those ordered to expedite a report on measures for the relief of loyalists. On 10 April 1662 he carried up a bill to give effect to the charitable bequests if Sir Robert Hitcham, a great benefactor of Pembroke College. He helped to check the text of the Prayer Book, to draft a new paragraph for the uniformity bill and to prepare reasons for a conference on it. Before Parliament was prorogued he was able to report that he had extracted the records of the triers and ejectors from Philip Nye, and helped to manage a conference on the printers’ bill. When the house met again in 1663, Crouch was among those appointed to bring in the urban clergy bill again, and to report on defects in the Act of Uniformity. He took the chair for a leaseholds bill and for the bill to establish turnpikes on the Cambridge Road. He help to inquire into the conduct of Sir Richard Temple and to manage a conference on the Duke of York’s revenue. Although he was appointed to the committees to prevent the growth of Popery and meetings of sectaries, on 18 July he carried up a bill to grant relief from the Act of Uniformity to those who had been prevented by circumstances from subscribing to it, and he was sent to invite the witty Presbyterian Minister, Vincent Alsop, to preach to the House. He was listed as a court dependant in 1664, when his most important committee was to manage a conference at Falmouth Church. He reported another Herefordshire highways bill on 1 Feb 1665 and took the chair for the bill to unite city churches in both sessions in 1665. At Oxford he helped to consider the five mile bill and acted as teller against the bill to encourage the growth of hemp and flax. He invited Dr Perrinchief to preach to the House on 9 Nov., and was afterwards ordered to thank him. An authority on relations between town and gown in Cambridge, he was teller on 24 Nov 1666 for giving precedence to the vice-chancellor over the mayor in the plague bill. In another division three days later, he favoured deleting the description of Irish cattle imports as a nuisance. On 10 Dec. 1666 he was sent to thank the rector of St. Margaret’s, one of the best and ablest of the conformists, for his sermon. He reported on 22 Jan. 1667 in favour of a petition from certain merchants who had imported prohibited wines. Crouch’s work in the session that followed the fall of Lord Clarendon was particularly important. Among his major committees were those to draw up the address of thanks for the Lord Chancellor’s dismissal, to inquire into the miscarriages of the second Dutch war and the sale of Dunkirk, and to consider the charges against Lord Mondaunt. He showed particular concern over the heath-tax, which had aroused great resentment in both universities. After he had reported on abuses in its collection on 7 Dec. 1667, his committee was ordered to bring in a bill to reform them. When Crouch reported the bill on 27 Mar. he was able to carry it up 4 days later. He opposed the enfranchisement of Durham, saying that the midlands were over-rated because of their under-representation in Parliament. He also acted as chairman and teller for extending the Conventicles Act, and was appointed to the committee on the bill to prevent the refusal of habeas corpus. With Sir Charles Wheeler, the other member for the University, he was teller on 5 May for confirming the allotments made for the rebuilding of Thames Street after the fire of London; and in the following year he took the chair for the bill to enable a house to be built for the dean of St Paul’s. He was also among those ordered to consider a petition from Magdalene College, but the committee never reported. His name was on both lists of the court party at this time among those to be engaged by the Duke of York. He feared that the bill for the divorce of Lord Roos (John Manners) might be against divine law, and suggested consulting Convocation. He carried up the bill on 5 Apr., and later in the month returned to the Lords the important intestacy bill (the Statute of Distribution) which he had chaired in committee, together with a bill for the maintenance of the clergy in the London parishes affected by the Great Fire. Crouch attained the summit of his political career, as chairman of the committee appointed to consider charges against Arlington. On 17 Feb. he reported that ‘some difficulties had occurred’ and nothing further was done. As chairman of the committee on bills depending when parliament again, he recommended proceeding with the bill for the repair of churches and the recovery of small tithes. In both sessions of 1675 he was appointed to the committees for recalling British subjects from the French service, appropriating the customs to the use of the navy and hindering Papists from sitting in parliament. He helped to draw up reasons for a conference on the Four Lawyers on 3 June. In the autumn session he was one of the five members sent to ask Col. Thomas Howard if he were responsible for publishing a violent attack on William Cavendish, Lord Cavendish, and he appears, like Sir Thomas Hatton, to have voted against the Danby administration. Although earmarked for special attention by Sir Richard Wiseman during the long recess which followed, he was included among the government speakers, and he appears on the working lists as under the influence of Peter Gunning, the Arminian bishop of Ely. A hostile account describes him as “the priests’ mad jade who rides without fear of wit, preserved by the Court into whose interest he long since has matriculated”. He was appointed to the committees for preserving the liberty of the subject, preventing the growth of Popery, and ensuring a Protestant education for the royal children, and took the chair for the bill to enable small vicarages to be augmented. He carried this bill to the Lords, together with those to prevent simony and to facilitate the taking of affidavits in the country. Shaftesbury, who had originally marked Crouch ‘doubly vile’, saw reason later to halve his assessment, and in fact he probably went over to the Opposition in 1678, for his name appears in neither list of the court party. On 30 Apr. he reported a bill to increase endowments of St. Asaph’s Cathedral, and was appointed to the committee to summarise foreign commitments. In the closing session he was named to the committees to inquire into the Popish Plot and to disable Papists from sitting in Parliament. He offered himself for re-election, but apparently withdrew before the poll. Thomas Crouch was a man of many parts but his dedication to his God and Cambridge University was unsurpassed. Thomas Crouch died in August 1679 and was buried, at his request, in King’s College Chapel on 30th August 1679. He was 71 years old. All men from their sepulchres. Shall come, what manner of man I was.